A fiberglass bowl was used to rivet the cans (petals) on for the shape of the flower. It was based on a Chrysanthemum. 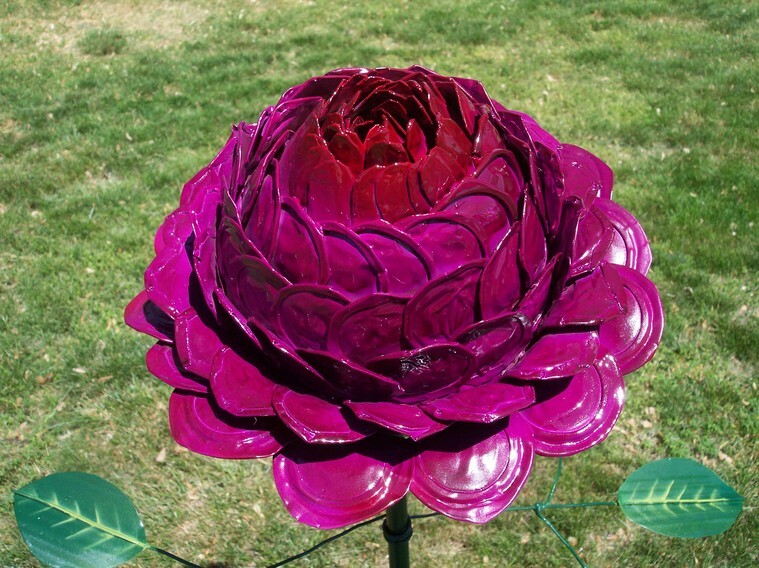 An aluminum lid was used for the bottom of the flower. BB darts were glued onto the centerpiece which was the knob for the lid. 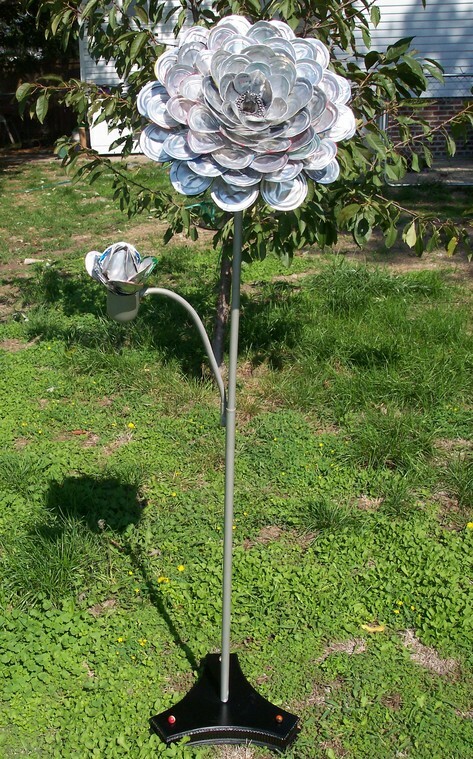 Aluminum gutters were used for the leaves and an old lamp base was used for the stem. 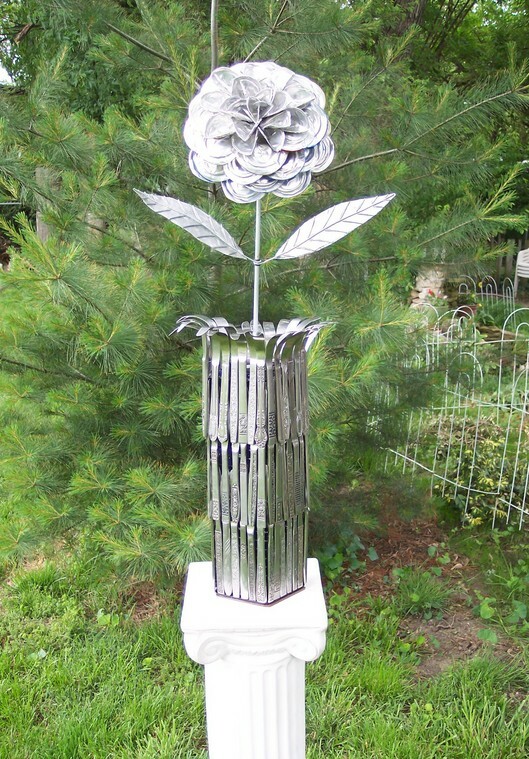 ROSE can flower made with about 100 Found aluminum cans riveted on to an aluminum pan llid. wire. Used an adjustable microphone stand for the base. Painted with metallic paint and outdoor enamel. 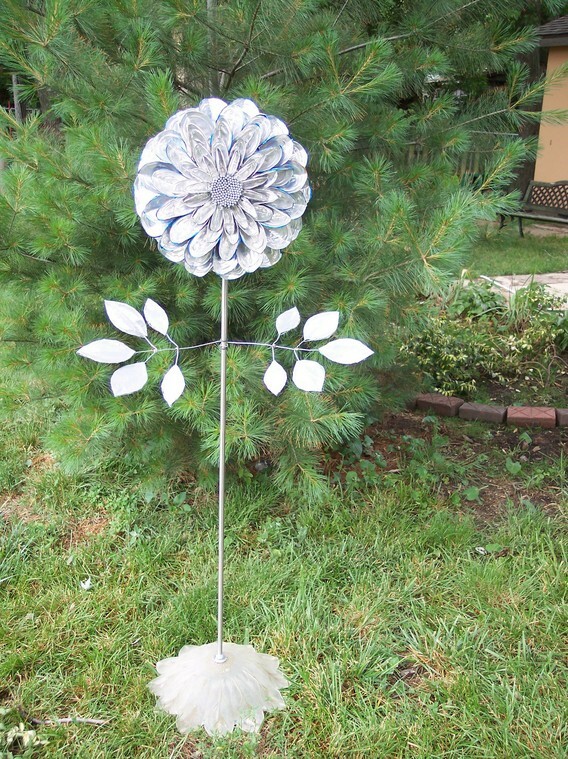 "SILVER BLOOM" made with aluminum cans for the flower and the leaves. The vase is made from a cd holder and has 72 butter knifes cold welded onto the sides. 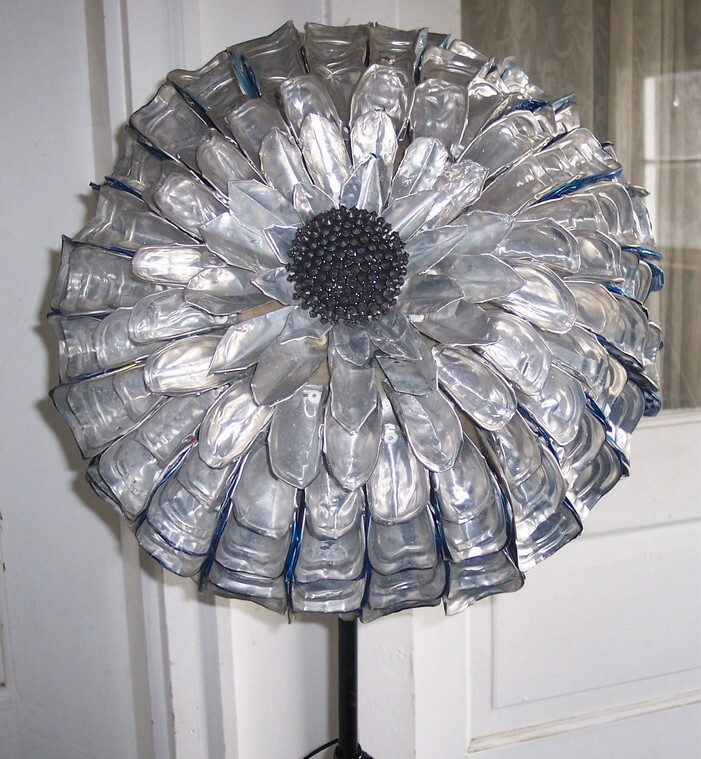 Another CAN flower made from the bottom of aluminum cans along with the leaves. 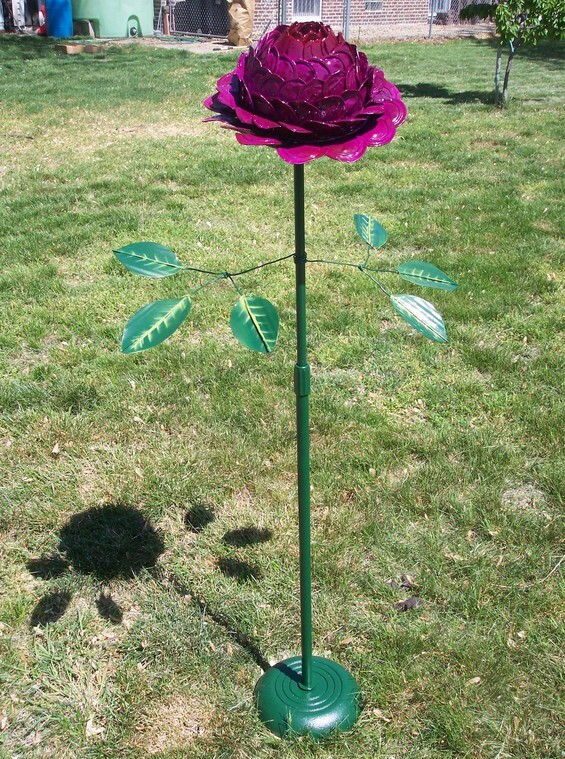 The stem is from discarded ceiling fan extensions that can be unscrewed for a shorter flower. Used a ceiling lamp for the base. Regular BB's were used for the centerpiece.